What would be the first thing you would do to help me? What I’m hoping you’d do is find out if I have a problem and if so, find out exactly WHERE that problem is. I know that you are here because you are hoping to change and improve your practice. Unfortunately… I’ll also bet that you believe the way to do that is to get more new ones… am I right? 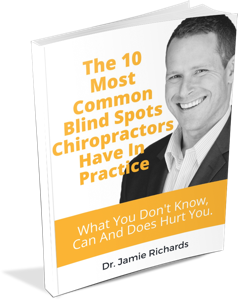 Most chiropractors (we’ve studied hundreds of offices) don’t have a problem getting new patients… they have a problem KEEPING those patients. Numbers DON’T lie. If you had just 15 new patients a month and were able to bring only 12 into an initial stage of care, assuming a healthy percentage stayed with you… it would take only 24 months to reach 300 visits per week! Yes, you read that right… 300 visits a week! It’s called the Success Surveillance System™… and you should START by checking it out. The Success Surveillance System™ will show you where your practice blind spots are! And once you know exactly where your problem is, you will know what you can do to fix it. You will also know how to best use this site and all of the awesome free content available to you to help you grow your practice and create the community of patients and make the impact you’ve always dreamed of. Now let me be absolutely clear with you… if you are not fulfilling even one of these requirements you will never achieve the practice of your dreams… or even get close to your practice potential. Just like you would never totally fulfill your health potential if you chose not to exercise… or get adjusted. The requirements for your practice, just like the requirements for your health, are NON negotiable! The other half of the equation is where things can get complicated. With many POTENTIAL strategies for options… how do you know which are the correct ones and more so, which are the best ones? Let me give you an example of an EPIC failure. You’ve heard that Steve Jobs was a fruititarian. No I’m not making this up. There were LONG periods of his life where he ate only fruit. Now… “fruititariansim’ is a STRATEGY to fulfill the body’s nutritional REQUIREMENTS. Unfortunately it is NOT a good STRATEGY! Eating only fruit means that you are missing out on a lot of the nutrient REQUIREMENTS, like essential fats and proteins, that your body needs to function optimally. The take home message… requirements are non negotiable; strategies can vary. This means there are both GOOD strategies and BAD strategies. 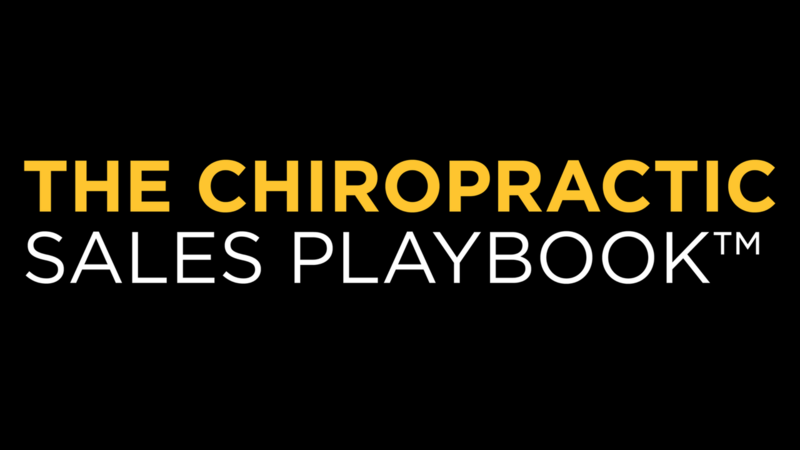 This is where we come in… Life By Design For Chiropractors is THE place you can learn about proven STRATEGIES to help you grow a fun, busy and rewarding practice; the type of practice in which you get to actually practice chiropractic. You know what I mean? Real, un-muddied chiropractic. I mean checking and correcting subluxations because every human being is better off with a healthy spine and nervous system than they are without. If you are looking for a way to create an amazing chiropractic community that people love being a part of and are happy to pay you what you are worth, you are absolutely in the right place! Which strategies do YOU need first? Which action steps will get YOU the results you want the fastest? Well… before you can accurately identify what YOUR best first step should be, you need to find out exactly where YOUR practice is deficient. That’s why your first step should be to check out the Success Surveillance System™. PS. Our strategies are not the ONLY ones available to address your problems but we do believe they are some of the best. Do yourself and your practice a favour… check out the Success Surveillance System™ so you can objectively assess where your practice needs help. The feedback we’ve gotten has been incredible. How much would it be worth to know exactly where your BIGGEST problem in practice is right now?